as we take you on a tour around the city. Taking pride from its tall skyscrapers and wondrous tourism landmarks, Shenzhen is known to be one of the most fascinating and modernized cities in the world. Nonetheless, the said city still remains true to its history, culture, and traditions. It may have extremely progressed in the last forty years, but the people in this magnificent city of China still adhere to the values being passed down by their ancestors for centuries. This is the prime reason why Shenzhen has succeeded in its venture of coping with the ever evolving world. Being named as the first Special Economic Zone in China, Shenzhen is a pioneering and innovative city whose remarkable achievements are notable in the records of urbanization, industrialization, and modernization across the world. It is the country’s vanguard to reforms and legal transactions that have gained interest from foreign investors and businessmen. The city has truly embraced internationalization, bringing along the name of the country. 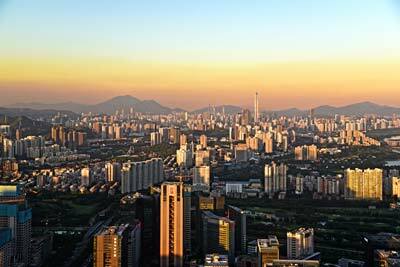 Known as “China’s most fascinating city”, Shenzhen stands proud as an economic giant in the country. In fact, it’s also the home to some of the most amazing and modern architectural wonders in the world. This includes Ping An IFC, the tallest building in the world. Aside from this, it’s also China’s main city for electronics manufacturing and export. Shenzhen is the seventh biggest city and the main gateway for foreign travelers to the country. The city doesn’t only focus on its manufacturing industry however, it’s also been steadily progressing as a cultural economy since 2003. It aims to change the Made in China tag to Designed in China. In fact, it’s been acknowledged by UNESCO as the “City of Design” in China; which has helped support many Chinese creatives. Nowadays, the city now has more than 6,000 design firms and approximately 30,000 designers who work for more than 800 Chinese fashion brands. As a result of this, along with its manufacturing industry, Shenzhen is one of the most prolific and encompassing shopping centers in the world. Apart from this, it’s also established its Shenzhen tourism among tourists and locals alike. While it may be lacking natural wonders compared to its neighboring cities, it is also the host to numerous amazing theme parks and man-made attractions. Today, the city has evolved greatly and continues to thrive towards great modernization. In fact, it’s even been labeled as the next Silicon Valley, due to its economic success and rapid growth. All the impressive achievements it has obtained can be attributed to its history and the deep-rooted values of its people. This clearly shows Shenzhen’s great potential, which started with humble beginnings as a simple fishing village in the past. Before it rose in magnificence, Shenzhen was a humble and small village. What began as a fishing settlement in the past has evolved into a sprawling industrial and financial megacity. Its name first appeared in 1410 during the Ming Dynasty. The city’s name roughly translates to “deep drainage”, because the area is crisscrossed with rivers and streams and there are deep drains in its paddy fields. The city of Shenzhen was originally derived from Bao'an County. It became an important hub for maritime trade, especially due to salt and spices during the Song Dynasty. The pearl industry then began to take off in the area during the Yuan Dynasty. Military bases of Dongguan and Dapeng were then setup in Shenzhen during the Ming Dynasty. 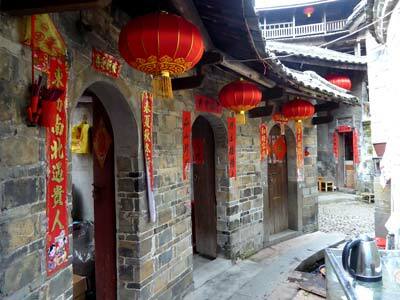 The area then changed its name to Xin’an County in 1573 during the Qing Dynasty. It encompasses of modern Shenzhen and Hong Kong with Nantou as its political center. It was a commercial center dealing in salt, tea, spices, and rice. Xin’an County resumed the name of Bao’an County as Imperial China fell. Nantou was then occupied by Japanese troops as the War of Resistance against Japan was ongoing. The county government was temporarily relocated to Dongguan County in 1938. The seat was once again moved to Shenzhen Township which was 10 kilometers from Nantou as the area continued to flourish in 1953. Bao’an changed its name to Shenzhen City in March 1979. A year later, the city was designated as the first Special Economic Zone in China. From then on, the city has attracted a tremendous amount of domestic and foreign capital investors. The phenomenal growth of Shenzhen has brought a dramatic rise to the surrounding agricultural area’s production. This rapid growth in China was then known as the “Shenzhen effect”. To date, the country’s continued economic rise is owed to Shenzhen, as the city brings the country to modernization and internationalization. one of our singles’ tours! Everything about Shenzhen is indeed fascinating. From its economic development up to its beautiful infrastructure, it’s certainly a great city with a lot to offer. What’s more amazing apart from the aforementioned aspects are its culture and traditions. However, because of the continuous progress of the city, rural migrants have occupied a bigger proportion in the city’s population, making Shenzhen’s culture and traditions diversified. Amidst cultural diversity and the large number of migrants, Shenzhen still reflects on the spirit of the Hakka people. These are natives from the ancient Han Chinese subgroup who used to be immigrants from Central China (it’s now the modern day Southern China), during the 6th to 13th century. Their culture encompasses ancient hand traditions, as they’ve absorbed some splendid local cultures after settling in. Their culture can be embodied in their language, cuisine, customs, and the list goes on. As Shenzhen has preserved the Hakka culture, people here have also retained the traits of its people. These traits include hard work, courage, resourcefulness, and resilience. Due to this, it is not a surprise that Shenzhen has emerged as one of the most advanced and modern cities not just in China, but in the whole world as well. People in the city are always ready to seek new opportunities to improve their livelihood. The aforesaid traits are also some of the reasons why men look forward to marrying Shenzhen women. Because Shenzhen has inherited the Hakka culture, the city celebrates a festival to rediscover the value of traditional Chinese culture and to learn and appreciate various folk art. The festival features gala shows, a photography and painting exhibition, and dancing and singing traditional Hakka songs. The event lasts an entire month, which is why tourists and local residents flock to the area to celebrate its beautiful culture and customs. It is through this festival that tourists may come to know how Shenzhen singles and the married folks of the city value their cultural heritage. It’s never enough to put into words the amount of fascination the city of Shenzhen brings. The best way to learn about it, is to experience it firsthand. Register now for free and join our singles’ tour. Grab the opportunity to win a free tour or better yet, a date one of the Shenzhen women in our personals! Come join us and explore the most fascinating city in China now!